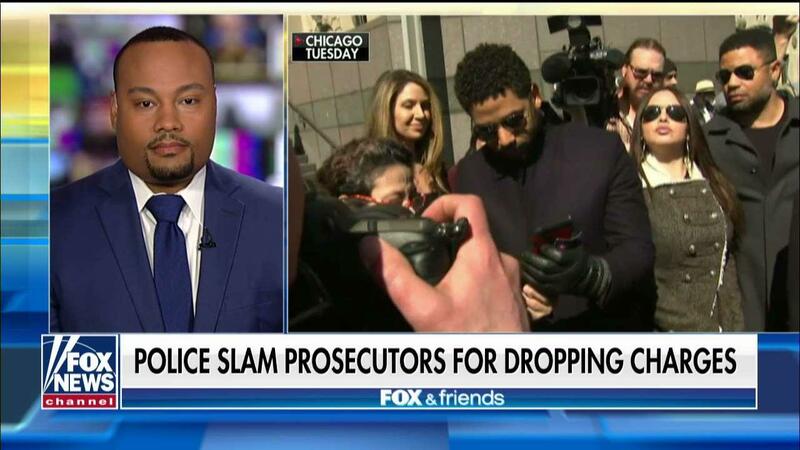 Chicago police came out swinging Wednesday and released the full 61-page investigative report in the alleged Jussie Smollett hate crime hoax, one day after charges against the "Empire" star were dramatically dropped — but the move prompted a moot court order. The dismissal of charges against Smollett over the alleged attack drew a swift backlash from the city&apos;s mayor and police chief and raised questions about why Smollett was not forced to admit what prosecutors had said they could prove in court — that the entire episode was a publicity stunt. The report revealed new details about the police obtaining a search warrant for Smollett&apos;s iCloud account and then sharing the data with the FBI. The report also provided fresh details about the $3,500 check Smollett wrote to Abimbola "Abel" Osundairo and Olabinjo "Ola" Osundairo. The brothers claimed they were paid to carry out the attack on Smollett, though Smollett said the money was for personal training sessions. Soon, though, the tides shifted and investigators accused Smollett of making the whole thing up because he was unhappy with his pay on "Empire" and believed the publicity garnered from the incident would promote his career. Wednesday&apos;s released report shed light on some of the behind-the-scenes moves investigators and prosecutors made to interview witnesses and throw off reporters.